In this generation where everything seems to have labels, sometimes it can bring a lot of confusion when it comes to knowing the exact term to describe something. This often happens when it comes to telling the difference between pieces of jewelry. Some may not know the differences between antique, estate, and vintage jewelry. These words are often used when it comes to describing old pieces. However, not a lot of people know how to distinguish one from another. How will you know if jewelry is antique? How will you know if it is considered vintage? You can call a jewelry an antique if it 100 years old or older. A lot of pieces that were made during the early 1920's are now considered antique. If you go to a jewelry shop and if a trustworthy dealer tells you that it is an antique, you can be guaranteed that it is indeed an old piece. It can irrefutably be considered an old heirloom. However, if you are a buyer, you are going to have to make sure of the age of the jewelry. A lot of jewelry today that is labeled antique is not genuine antique pieces. There are pieces that antique style pieces that are already a reproduction. These are jewelry that is made that resembles an antique jewelry. In times when a loved one passes away and leaves an antique jewelry, the value of inherited jewelry is determined by a lot of factors. But rest assured, the age of a certain heirloom is also considered. Pieces of jewelry that are 20 to 30 years old can be considered vintage. Any jewelry from the 1980's or 1990's can be labeled as vintage. However, any piece that was made beyond 30 years but still is not old enough to be called an antique jewelry is considered vintage. If your grandmother has jewelry from the 1950's, you can still consider it a vintage jewelry. If you are a buyer, you will also need to make sure of the year the jewelry was made in order to know that it is indeed a vintage. There are pieces nowadays that may look just the same but are totally not. 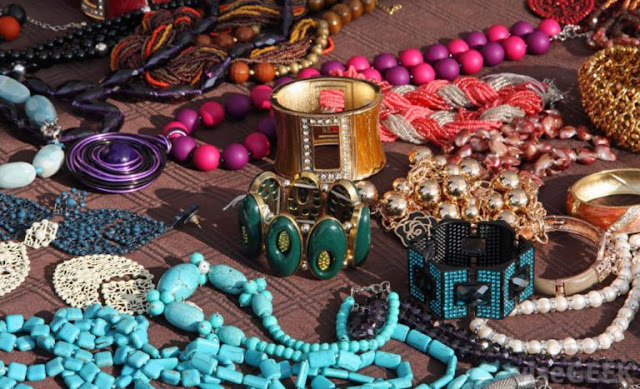 Do not be deceived by tribal or old designs that are probably made of vintage-inspired jewelry. Regardless of age, even if it is still a month old, if it has been used or if it is a second hand jewelry, you can consider it estate jewelry. Whether it is antique or vintage jewelry, you can call it estate jewelry if it has been used. For instance, you have an engagement ring that you used but for some reason called off the engagement and has decided to sell it, it will be labeled by the jeweler as estate jewelry. This type of jewelry can also be acquired from estates. Just because it is pre-owned or secondhand doesn't mean it has less value. Whether it is labeled as estate jewelry, it could still signify that it is an important and valuable piece.